Preheat oven to 375°F. 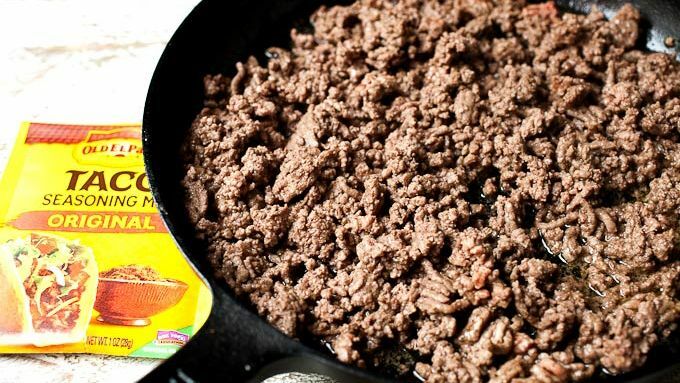 In a large skillet, add ground beef and olive oil over medium heat. Cook, breaking up beef as it browns, until cooked through. Add 1/4 cup water to the beef along with taco seasoning. Stir together well. 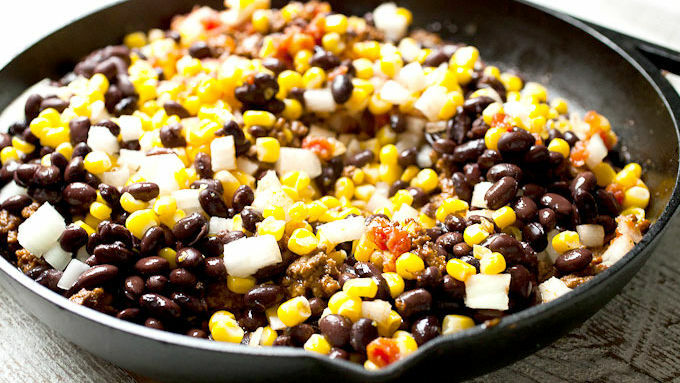 Then add beans, corn, red onion, and salsa. Cook for 1-2 minutes until well combined and then remove from heat. Wash zucchini well and cut in half longwise. Use a spoon to carefully scoop out center of each zucchini. Add a few small cubes of cheese to the bottom of each zucchini. Spoon beef mixture into each zucchini. Feel free to pile it high in each zucchini. Top each half with more cheese cubes. 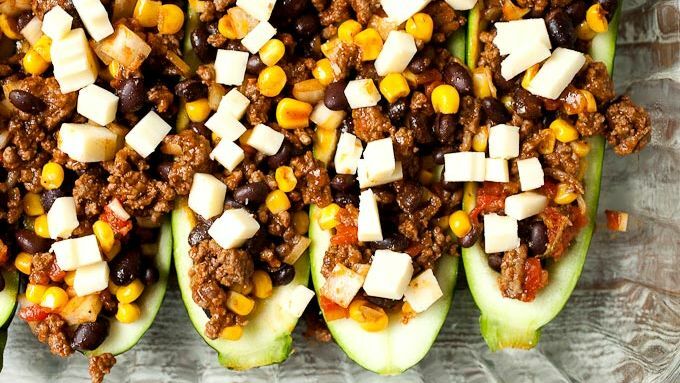 Bake zucchini boats for 20-25 minutes until cheese is melted and zucchini are tender. It’s okay if they still have some bite to them. 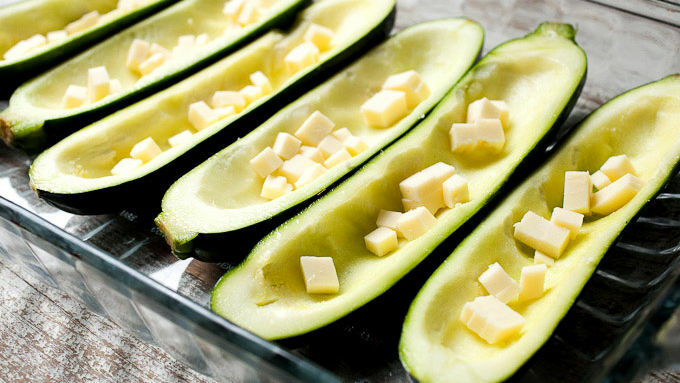 Bake zucchini boats for 20-25 minutes until cheese is melted and zucchini are tender. It’s okay if they still have some bite to them. Remove zucchini and garnish with fresh cilantro. Serve while warm. Save scooped out zucchini guts for zucchini bread! Everybody has that one neighbor. You know the one. At some point in the summer they will bring over a bushel of zucchini that they can’t eat and dump them at your doorstep. 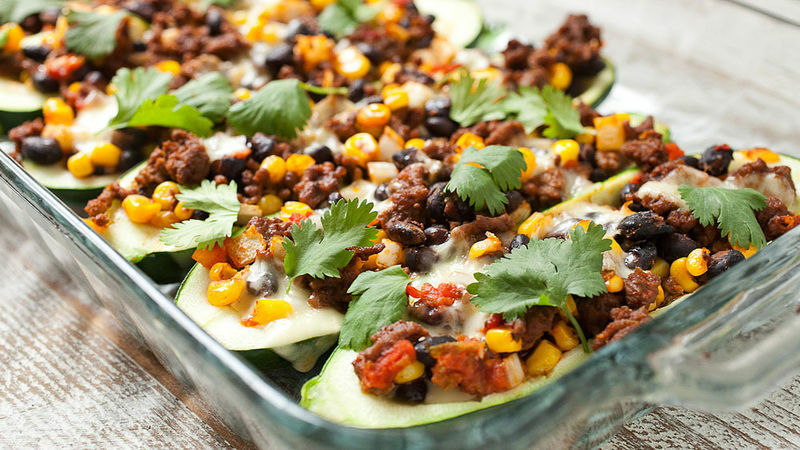 The truth is that we should all be so lucky to have a neighbor like that because zucchini is so versatile! You can do so much more than just grate it up and make zucchini bread out of it. This recipe is a quick and delicious (and low-ish carb) way to use a bunch of leftover zucchini. 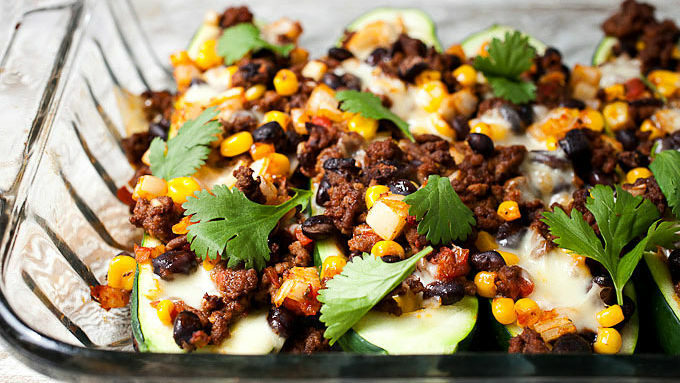 While you could use any zucchini, medium-sized ones work best for this recipe. Happy zucchini season, everybody!